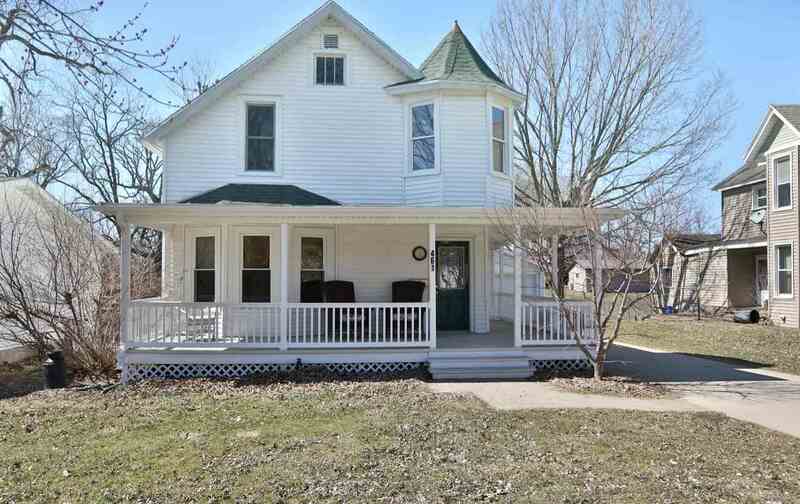 Charm and character galore in this well maintained two story home in East Dubuque! This home offers approximately 1,894 SqFt finished throughout main and upper floor. 3 bedrooms, 2 full bathrooms and a 1 car attached garage. Wood buring fireplace, main floor laundry, all city utilities, central cooling and more! Not to mention an awesome wrap around maintenance free porch, newer deck in back of home and all appliances are included!